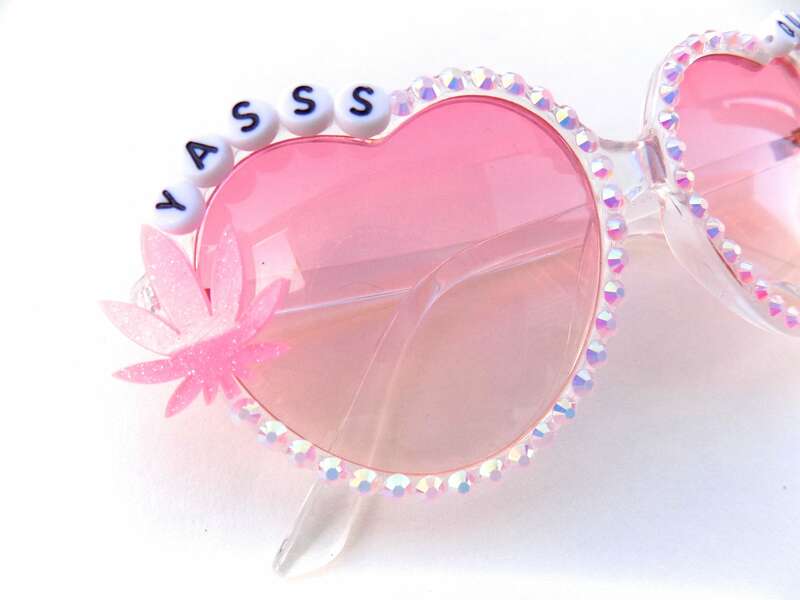 These groovy pink heart-shaped glasses are decorated with the words "YASSS QUEEN" and a pink glitter pot leaf on each side. Rhinestones completely encircle each lens. 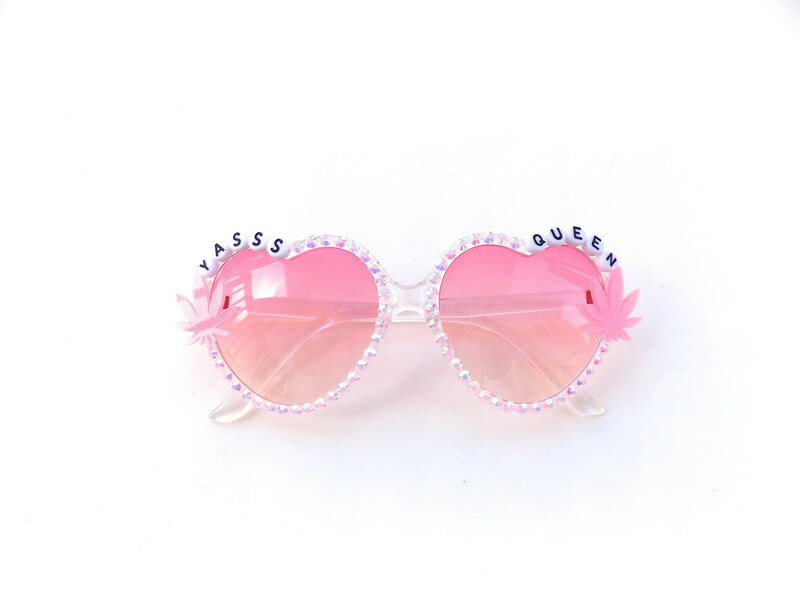 Frames are clear plastic with pink tinted lenses. All decorations are secured with industrial strength glue; built to last!